Oven French Toast is so easy to make and tastes just as amazing as traditional French Toast. 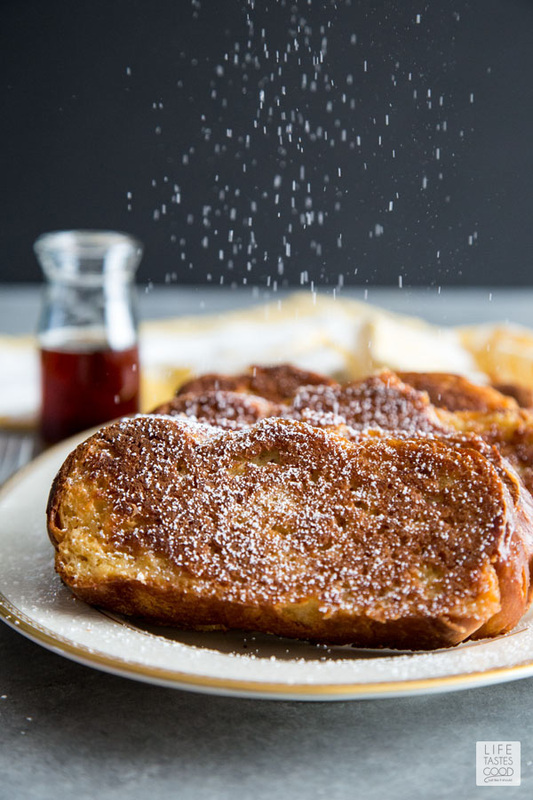 Simply serve this oven french toast recipe for brunch a la carte with maple syrup, whipped cream and fresh fruit, or add a side of bacon and eggs to complete your meal. 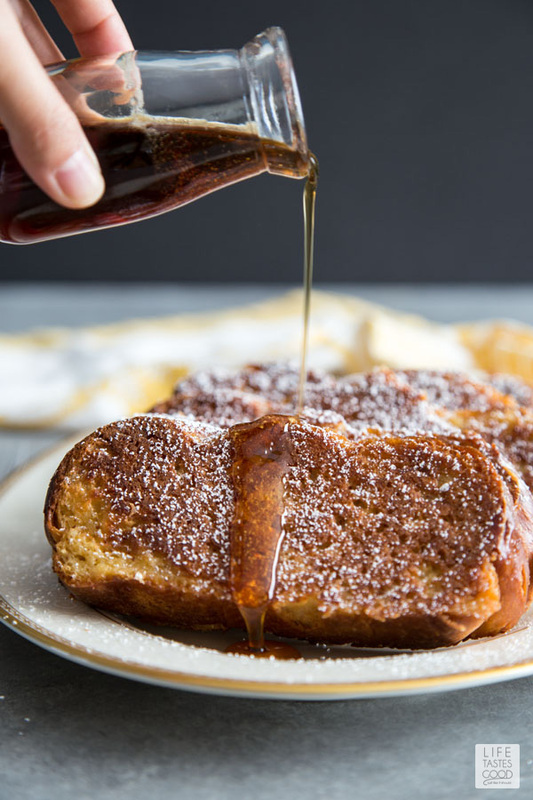 This Oven French Toast recipe is so simple to make and tastes just delicious. It’s going to be a win-win situation for both you and your whole family at breakfast time. There is no need to fuss with frying each piece of French toast individually. The French Toast can be baked all together on one baking sheet in the oven while you get the toppings ready or maybe whip up some bacon and eggs on the stove top. Melt 2 tablespoon of butter and brush it all over a baking sheet. Cut the rest of the butter in to small pieces and set aside. Warm honey in the microwave for 20 seconds. Add honey, half-and-half, eggs and salt to a medium mixing bowl and whisk together until smooth. This makes about 3 cups of custard. Pour 1 cup of the custard mixture into a 9”x13” baking pan, add 4 slices of bread and soak for 30 seconds on each side. Remove and place soaked bread on the previously prepared baking sheet and repeat with the rest of the bread slices. Dot the top of the bread with the cut up butter from earlier and bake for 20 minutes. Serve bottom sides up. I’ve said this before and I will say this again, but your french toast can only be as good as the bread it is made with. I was testing challah the past couple weeks, so I used a leftover loaf of homemade challah for this delicious oven French toast. 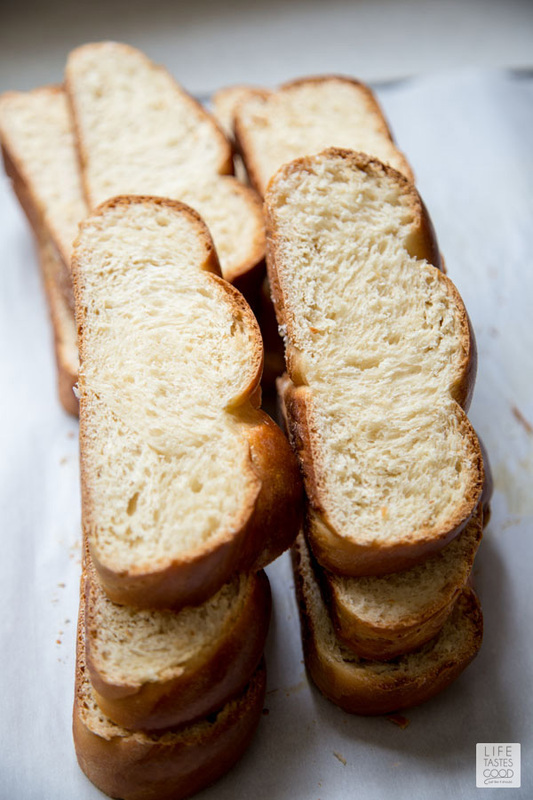 Another bread I love to use for French toast is brioche. Brioche has a rich taste and a dense enough structure to soak up all the custard for a creamy interior texture when cooked without falling apart. Because my bread was freshly baked, I sliced them into 1” slices the night before and just let them sit out on the counter. By morning, the bread was nicely stale and ready for a bath in the french toast custard mixture made with half and half, sweetened with honey, and flavored with a hint of cinnamon. I used a 9”x13” baking dish to soak 4 slices of bread at a time. Flip them over after 30 seconds to let the other sides soak up the rest of the custard. My jelly pan was large enough to hold all 12 slices of bread perfectly. Prepare by brushing it with melted butter, generously. This will help the bottom of the French toast from sticking to the pan while browning them evenly. Dot the top of the bread with more butter, and bake 20 minutes for the custard to set. The top will not brown like they do when you fry them on both sides. My solution for this is to serve them browned sides up. There are so many ways to customize your French toast with toppings. 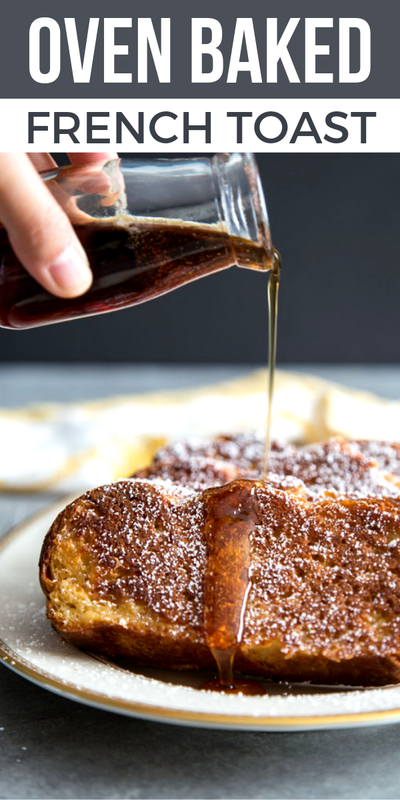 This Oven French Toast is an extremely simple French toast recipe. I added just a hint of cinnamon to give it that warm and cozy feeling, perfect for a simple holiday brunch at home with the people you love. Enjoy! Looking for more French Toast recipes? 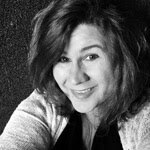 Most home cooks will already have many of the tools needed to make this recipe, but for your convenience I've listed the tools I use when making Oven French Toast. Just click on the item name and find the product I use on Amazon. 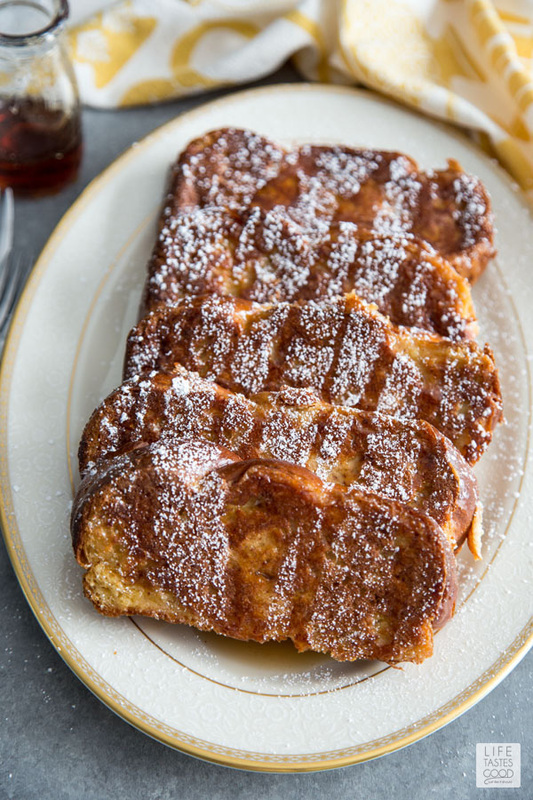 Oven French Toast is EASY to make & tastes just as amazing as traditional French Toast. 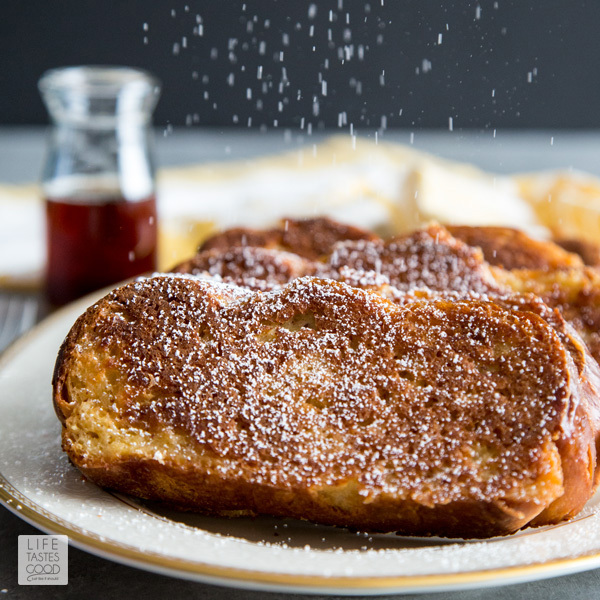 Serve this oven french toast recipe for brunch with your favorite toppings! 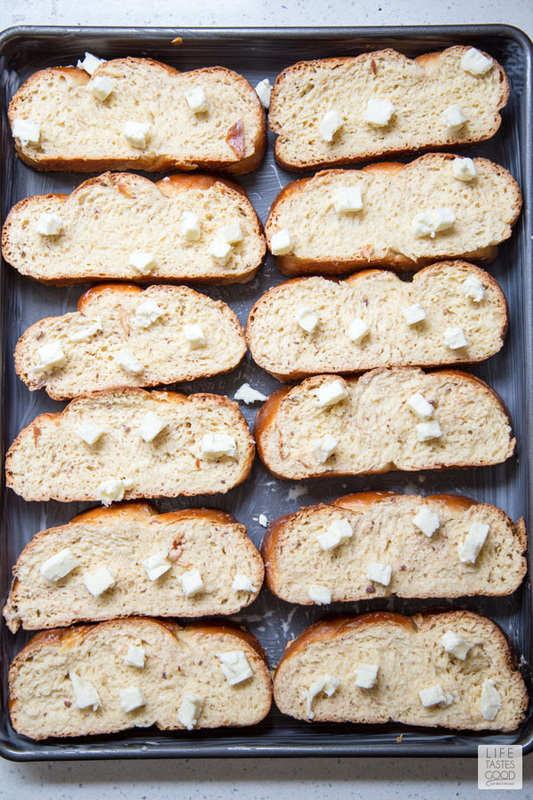 Melt 2 Tbsp butter and brush it all over a baking sheet. Cut the rest of the butter in to small pieces and set aside. Warm 4 Tbsp honey in microwave for 20 seconds. Add honey, 1 2/3 cup half-and-half, 5 eggs and 1/4 tsp salt to a medium mixing bowl. Whisk together until smooth. This makes about 3 cups of custard. 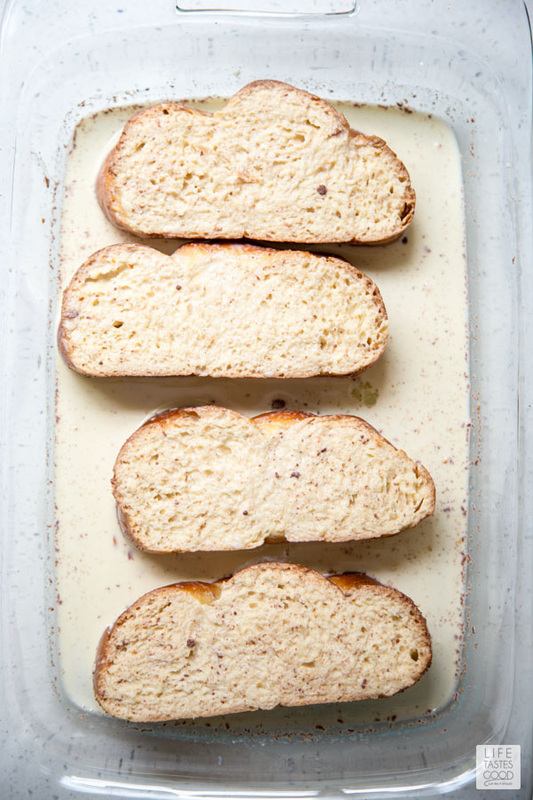 Pour 1 cup of custard mixture into a 9”x13” baking pan, add 4 slices of bread and soak for 30 seconds on each side. Remove and place soaked bread on the prepared baking sheet and repeat with the rest of the bread slices. Dot the top of the bread with the cut up butter from earlier and bake for 20 minutes. Serve bottom sides up and enjoy!